People love to watch culinary artists as they create confectionery masterpieces in the kitchen. 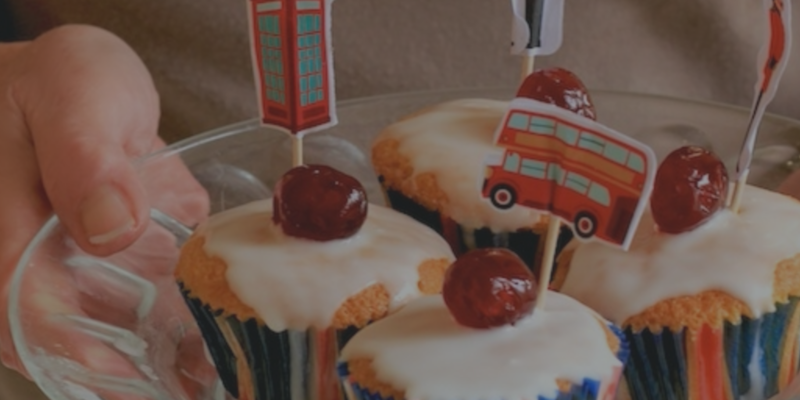 This game gives your employees a shot to design the best cake representation for your company. Break up into teams, including management, and provide the supplies. You will need an impartial judge when all is said and done. Don't forget to give everyone the chance to have their cake and eat it too. This game – also known as Two Truths, One Lie – is an easy, fun and quick way for team members to get to know one another. Invite everyone to sit in a circle facing the center. Instruct everyone to take a minute or two to come up with two truths and one lie about themselves. It’s not necessary but you could have each individual write this information on a small sheet of paper making sure to label which was truth and which was lie. Pick a random slip of paper or just choose someone to reveal the three pieces of information about themselves. Allow the rest of the group to confer and decide what is truth and what is lie. Then reveal the lie and move on to the next person. This simple game is a great way to refresh and engage a team that is feeling drained or stressed. The nice thing about this activity is that it doesn’t require much time or any extra equipment. Divide the group into two equal lines (or roughly equal if there are odd numbers) and have them face the opposite line. Choose a team to go first and either give them a minute to study the opposite line or make them turn around right away. Then give the other line a minute or so to change ten things about themselves. The changes can include swapping clothing or jewelry, removing or untying shoes, rolling sleeves, unbuttoning/untucking shirts, etc. When time runs out, instruct the first line to turn around and list the changes that have been made. Once all changes have been discovered, switch roles and go again. Divide your staff into teams and put everyone's name into a hat. Each side needs to take turns as they draw a name and use words to describe that particular employee. You can make this game get even tougher as you continue play, narrowing it down to one word as a description. Pairs is one of the best employee engagement activities to help team members get to know one another. You’ll need to raid the office stationery room for a pen, paper, and tape to make this game run smoothly. Before the game begins, come up with as many pairs of things as you can. Items such as peanut butter and jelly, yin and yang, salt and pepper, dark and light, male and female, Minnie and Mickey, noise and silence, and hard and soft make excellent choices. Write each word on a separate piece of paper (yin on one piece, yang on another). Once you’ve gathered everyone together, tape a piece of paper on the back of each person. When the game begins, participants can only ask Yes or No questions (like Twenty Questions) in order to figure out what word is on their back. Once they have done so, they must find the other member of the pair and sit down together. When sitting together, they must learn three to five interesting facts about one another. A really fun staff engagement activity to boost morale, if its flagging. This is a crowning example of employee engagement games ideas when you really want to pump your office up with excitement. Break your staff members into pairs and send them off into the surrounding area from point to point, providing clues to get to each destination. The first to complete the race wins. Make the final destination a popular luncheon spot and treat your staff to a meal. Food will always earn points in the eyes of your staff. This activity can be as simple as a (short) game of Trivial Pursuit but can also take many other forms. Keep in mind that you can always make use of the Trivial Pursuit cards regardless of how you structure your game. One easy way to structure a Trivia game is to divide employees into teams and decide on three topics (Entertainment, Science, Art, etc.). 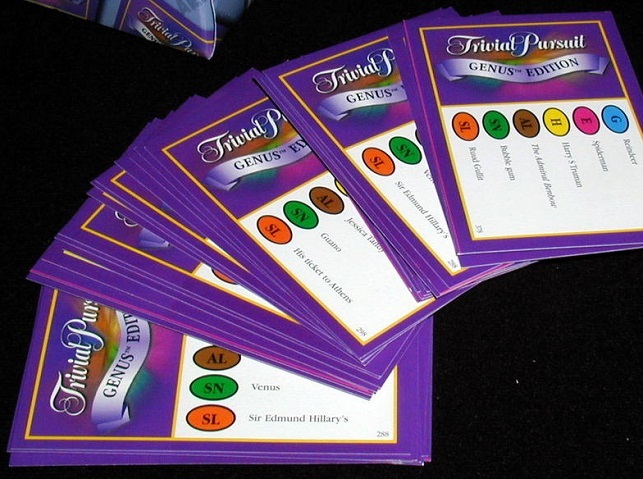 The game consists of three rounds of five questions each dealing with the agreed-upon topics (first round is Entertainment, second round is Science, third is Art). Groups are allowed to discuss amongst themselves and then each team writes their group name or number and their answer on a slip of paper and turns it in to the moderator. Review the questions and answers at the end of each round so the teams can keep score. At the end of three rounds, the team with the most points wins. Don’t be surprised if a tie-breaker is necessary. This game builds problem solving, teamwork, and communication amongst its participants. This activity can take a bit longer than some depending on how well every staff member works together. Everyone stands shoulder to shoulder in a circle facing the center. Each player should put her right hand in the center of the circle and take the hand of someone standing across the circle. Next, each player should put his left hand in the center of the circle and take the hand of a different person. Make sure that no one is holding the hand of someone standing right next to them. It’s now time for players to work together to untangle the knot without breaking the connections. This game requires props so plan accordingly. The planning is worth it though as this is a great way to engage everyone in relaxing, fun way. Divide participants into teams of 8 or less. Supply each team with a set of six random objects and give them five minutes to come up with a two-to-three-minute skit making use of all the objects provided. You can let the groups pick their topic or you can provide one for them. At the end of the activity, have everyone vote for their favorite skit. This game goes by many names but, at its heart, it is an excellent activity that facilitates team member familiarity and builds cohesion within the team. You will need a large collection of the same object (pencils, pens, pennies, some even use toilet paper) for this game so plan ahead. Instruct everyone to sit in a circle facing the center. Without disclosing what it will be used for, pass the items around the circle and tell participants to take as much as they think they’ll need. Inevitably, questions will follow so be prepared to repeat a stock answer (i.e., “Take as much as you think you’ll need.”). Once everyone has at least one item, go around the circle and have participants share a fact about themselves for every item they took (if someone took five items, they share five facts). Everyone loves a treasure hunt and you're never too old to join in the fun. Set up a treasure hunt game in the office with clues to guide your employees along the way. Break staff members up into teams and have something enticing at "X marks the spot." This game is a fun and easy way to help team members learn about their colleagues. It is also a great way for team members to stay current with each other’s goals and activities. As the name of the game suggests, you will need a Beach Ball to make this work. Before the game begins, write random questions on the Beach Ball with a permanent marker. Questions can be simple (what is your dog’s name, what is your favorite food) or complex (what are your weekly goals, where do you see yourself in five years) but a mix of both makes for a less taxing game. Have participants form a circle facing the center and toss the ball from person to person in a random order. After a period of time, say “Stop” and the person holding the ball will answer the question closest to her right pinky. Once the question is answered, begin tossing the ball and repeat the process. Be creative and take the time to introduce these games to your staff members and see the affect on employee engagement games. You will find that your efforts will pay off as your staff truly becomes a team. Click here to get 12 more (exclusive) Employee Engagement Games Ideas ! !